Paying tribute to the past, installing the right materials and selecting neutral colors are just some of the many ways you can create a timeless kitchen that looks great for years to come. 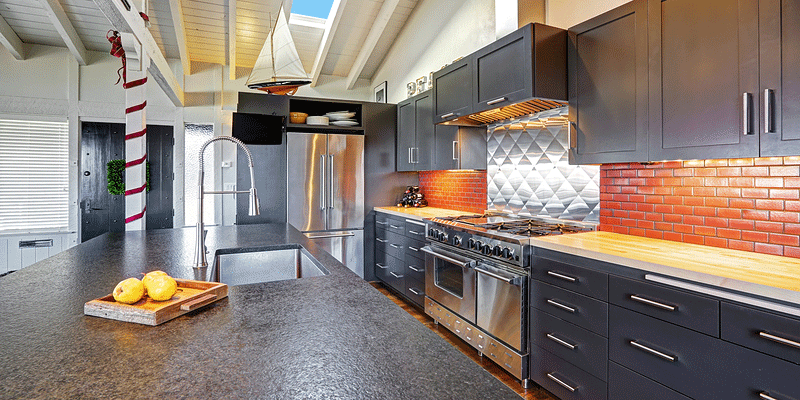 A kitchen remodel is a big investment that shouldn’t be taken lightly. 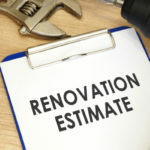 In order to make the most out of kitchen renovations they need to withstand the test of time. So how do you ensure that your kitchen remains as beautiful 10-years from now as it looks on the day renovations are completed? Kitchen trends are always coming and going. That’s why it’s wise to avoid the super trendy styles of the moment, even if they are currently taking the industry by storm. Here are 6 secrets to scoring a timeless kitchen that is forever extraordinary. Take the time to look over kitchens from as far back as the 1920’s. What sort of design elements do you see way back when still present in today’s most stylish kitchens? Perhaps to your surprise, you will notice a number of resemblances. It’s these classic touches that you want to carry over to your own kitchen, as they have already proven capable of standing the test of time. 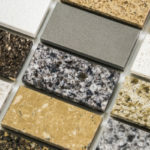 Granite countertops come in all different color shades. Your best bet is to pick a neutral and classic color combination. Granite is durable enough to still look great many years down the line. The moment granite is installed in your kitchen it’s already way older than the walls of your home, and you! Clearly, granite ages incredibly well, just as it will continue to do once installed in your kitchen. Take good care of granite by cleaning it regularly and applying quality sealant when necessary to extend its life even further. The popular “it” kitchen colors come and go over time but neutral colors stay long after that bright green or royal red fades from the top designer magazines. White is an obvious choice, but it’s not your only choice. Neutral shades of gray, blue and green all make great timeless options, especially when paired with whites, stainless steel or even black. According to the Kitchen and Bath Association’s annual survey, white is the one color that consistently shows up at the top of the most popular kitchen colors. White is an especially great kitchen color because of the associations popular culture has with it. White is associated with cleanliness and purity, all things you want for your kitchen. It’s much easier to keep a white kitchen clean simply because you can spot the dirt and clean it as soon as it shows up. Plus, you more than likely won’t have to pay any color upcharges. Most cabinets, appliances and other kitchen odds and ends come standard in white. White also sets the perfect backdrop for you to get more creative with other elements of your kitchen. A bright red stove might seem fun today but will you still want that stove seven years from now? Stainless steel appliances have remained the number one choice for a long time, and for good reason. Steel provides a timeless look that is easy to keep clean even many years down the road and after lots of wear and tear. This classic look is so popular you’ll find there are numerous options, which will help you price compare and shop smart. Great kitchen lighting is an absolute must that will never go out of style, so long as you pick your fixtures wisely. There’s no need to be boring. Unique hanging light fixtures create an awesome kitchen focal point that draws the eye around the room. Stick with classic materials and styles and avoid anything overly modern or trendy. For added functionality, more discreet lighting can be placed around cabinet bases or underneath upper cabinets. When something serves a functional purpose it is far less likely to go out style. The work triangle should never measure over 26-feet when combining all 3-sides together. Also, the distance between each point of the triangle should measure between 4 and 9-feet. No main walkways should cut through and interfere with the triangle workspace. The work triangle should never measure more than 12-inches through an island. 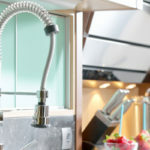 If your kitchen has one sink it should be situated between or across from the cooking surface, food prep space or fridge. The goal of the work triangle is to improve efficiency in the kitchen. By ignoring this layout you actually decrease overall efficiency. Lots of Storage—The one thing most everyone can agree on: There’s never enough cabinet space in the kitchen! Adding as many cabinets as possible will help to create a functional space you enjoy for years to come. Seating Area—Make a comfy seating area in your kitchen so that guests can mingle with you while you cook. This also provides a convenient space to set diners up for family and friends. Eat-in nooks, islands or counters with bar stools are common features in kitchens all around the world. A BIG Sink—A big sink will make your life easier when washing dishes and doing a multitude of other tasks. Take a moment to think over just how often you use the kitchen sink; you might as well go big or go home. Don’t forget to add a nice faucet that pulls out and adjusts to add to the efficiency of your new sink. Adequate Work Space—Adequate workspace is a must if you plan to actually use your kitchen for cooking. 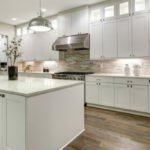 Tiled Backsplashes—A tiled backsplash is sure to stay in style over the long haul, especially if you pick neutral colors made from quality materials. A backsplash is a great place to splurge on high-end materials because you don’t need much to fill the space. A Wine Fridge—Wine isn’t going out of style anytime soon, at least we sure hope not! Installing a wine fridge can take up very little space while offering the perfect place to chill your favorite bottles. Tops Kitchen Cabinet is the leading name for kitchen renovations. That’s because we offer the latest kitchen cabinets and granite countertops at wholesale prices you’re sure to love. Buy your kitchen countertops, cabinets and more wholesale and you can save enough money to go all out and splurge on the other kitchen additions you’re lusting over!